Here’s a good way to find out: Call an interior designer an interior decorator and see what happens. Many people confuse interior designers and interior decorators. And, the volumes of creative ideas and information on HGTV, DIY Network, Houzz.com, etc. doesn’t help. In fact, sometimes it makes it worse – like what the heck is Vanilla Ice doing remodeling homes? In short, interior designers are interior decorators too. But interior decorators are not interior designers. •Have you sold your home and had to make changes to bring things “up to code” because you didn’t know the requirements when you had the work done? •Have you bought a home and found things that weren’t done correctly? •Do you have the time and desire to manage all of the stages, vendors and contractors for your project? •Do you know who to hire for contractors and where to go for materials, finishes, furniture, lighting, flooring, wall covering, window treatments, artwork, etc.? • You won’t need to track the finances of the project. I will will track the project budget and keep you up to date to ensure that we finish on budget. • You won’t need to rely on your knowledge of products and sources for products. You will have access to my vendors and I will recommend products for the project. Interior designers charge by the hour, by a percentage markup on products and services, or a combination of the two. We are “idea people.” You are paying for skill, training, ideas and creativity. When you engage an interior designer, you should expect to pay for their ideas. To find an interior designer, you should ask around and talk to your friends and coworkers. You should also review portfolios to see what type of work and what style(s) they do. Why? Because you don’t engage a few designers and then pay the one whose idea you like. You’re paying for ideas and expertise. If you’ve engaged a designer you need to collaborate back and forth through maybe a few iterations. The design process takes getting to know each other and determining what you like and what you expect. After gathering information in the programming stage, I review applicable building codes and any other regulations and standards that will affect my design. Then I create a design to review with you. This is usually a multi-step process as we work back and forth making changes together until we reach a final design. In the step, I specify the materials, finishes, and furnishings, like furniture, lighting, flooring, wall covering, window treatments, artwork, etc. Depending on the project, I may also need to submit drawings for approval by your city or municipalities’ building inspector. If a project requires structural work, I will work with an architect or engineer for that part of the project. If needed, I will also choose contractors and write work contracts. Finally, I develop a timeline for the project, coordinate contractor work schedules, and make sure work is completed on time. After the project is finished, we will do a walk-through together to make sure you’re satisfied. The two main interior design organizations are the American Society of Interior Designers (ASID) and International Interior Design Assocation (IIDA). In addition to formal education and professional experience documentation, both the ASID and the IIDA require members to pass the National Council for Interior Design Qualification (NCIDQ) exam. No. An architect typically creates, plans, designs the “building shell.” The building shell means the architecture of the existing building, including the framework, the perimeter/exterior walls, the building core and columns, and other structural, load-bearing elements of the building. Interior designers focus on and specialize in the planning of the interior elements of a building’s design. Architectural firms sometimes have interior designers on staff so that they can service a project from design to completion. No. The vast majority of interior designers are not general contractors. They will either work with your contractor to carry out their design, or provide design drawings and documents to your contractor to be carried out. I am both an interior designer and a licensed contractor. 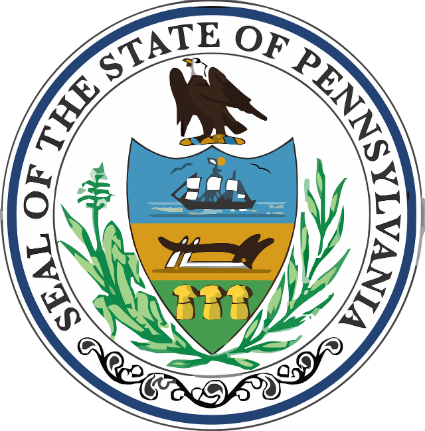 I am registered with the PA state attorney general’s office (HIC PA119407) and I am insured for interior design, general contracting, subcontracting and carpentry. This means less work for you. 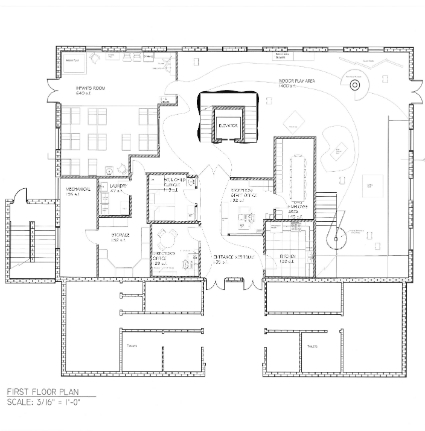 You won’t need to hire a contractor to carry out my design unless you choose to. And it means a smooth translation between your designer and your contractor.